Many of us in the aviation world have recently come to know the name Robert Miller. Mr. Miller is an east coast CFI and the author of Over the Airwaves. OTA’s masthead describes it as “the bi-weekly journal for the proficient pilot”. I’ve been reading Over the Airwaves for about a year and find that I agree with Mr. Miller on many points. He’s obviously dedicated to the issue of flight safety and a proponent of realistic, recurrent training which exceeds the Practical Test Standards and embraces the real-world aspects of flying. I continue to read OTA and learn a lot from it. And I should note that his dedication to publishing Over the Airwaves is admirable. One can’t help but stand in awe of the many hours it must take to put together each issue. I commend him for venturing beyond the traditional CFI methods of providing information to pilots and hope he continues to publish OTA for a long time. Having said that, I’ve noticed that OTA seems to spawn from a single raison d’etre, namely that the general aviation fatal accident rate is “worsening at an alarming rate” (OTA Vol. 3, No. 25). Statistics, tables, and charts are proffered in support of this thesis, and I must admit the case looks compelling. It begs the question: have AOPA, the Air Safety Foundation, the FAA, and the NTSB been lying to us? Are they glossing over the true story on general aviation flight safety? I decided to look into this issue a little deeper, not to discredit Mr. Miller or his publication — remember, I’m an avid reader of Over the Airwaves – but because for some reason his theory just didn’t feel right. After reviewing the data, I still suggest that his analysis is quite flawed. Miller ties avgas burned to hours flown. To be fair, the NTSB uses the same methodology. However, the connection between the two cannot be a direct one, because the Department of Energy stats he references would then indicate that flying activity has declined 80% since 1983. The table shows a drop from 418,000 gallons/day in 1983 to 98,000 gallons/day in 2004. Let’s begin with the pilot popuation. Yes, there are fewer pilots flying today than there were in the 1980s. I don’t really care how many are in the FAA registry. Many of them don’t fly anyway, just as they didn’t fly in the 80s. But the number of active pilots is down, maybe 10% I’d estimate. Even if it’s higher, there’s no way it would come close to an 80% drop. There are fewer piston twins flying today than there were in 1983. Who is even making piston twins these days? The Baron, Seminole, and TwinStar sales combined total fewer than 50 airplanes per year. Cessna is completely out of the piston twin market, and for the most part so is Piper. No more 300 and 400 series twins, no more Twin Comanches, Apaches, Aztecs, Twin Bonanzas. You name a piston twin, it’s pretty much been out of production for decades. And the existing piston twin fleet is being decimated by the inevitable ravages of time, spar ADs, high operating costs, limited parts supplies, and so on. Fewer twins flying = lower total fuel consumption per hour flown. Single engine airplanes are more efficient. An SR20, SR22, DA20, DA40, Columbia, or other modern airplane gets far better economy than the airplanes of the 80s. 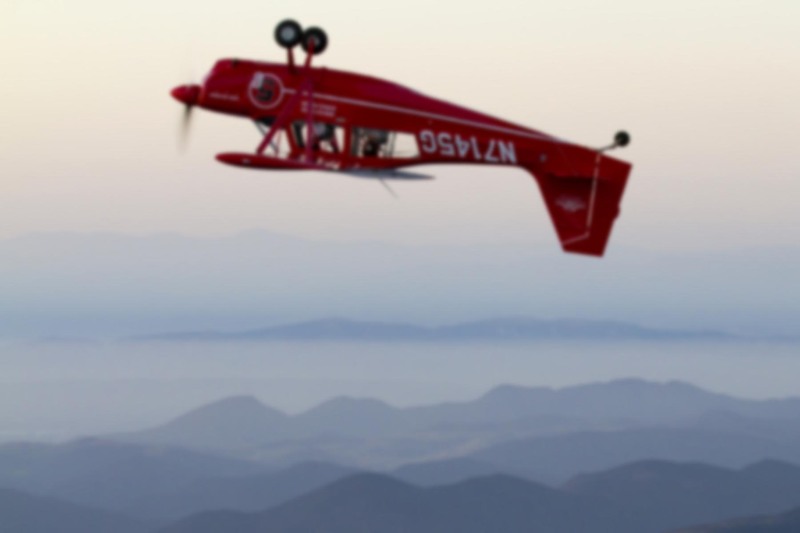 Composite construction and advanced aerodynamics allow these planes to fly with less drag. Any decent MFD or GPS can show you the real time NMPG efficiency of that airplane. Especially at lean of peak operation, these planes burn a fraction of the fuel a piston twin does. Now, consider lean-of-peak operation. Advanced engine monitoring and fuel metering for GA has led to greater use of fuel efficient operating techniques. We care about fuel burn now because fuel is expensive. Even without an engine monitor, nobody goes flying around with the red knob all the way in for hours on end. In my Pitts, I can burn anywhere between 11 and 26 gph. Considering that I only have 23 gallons of fuel on board when I takeoff, that’s not irrelevant data. But the biggest factor in the decline of avgas since the early 80s is the nearly 100% decline in piston twin usage by commercial operators since 1983. The commercial operators used to fly piston airliners for freight delivery, and GA piston twins for smaller stuff. Corporate operators used to fly executives around in piston twins, whereas nowadays nearly all those folks have moved up to turbine twins and/or jets. The corporate/commercial operators flew a huge chunk of the total piston hours in the early 80s. Over time, they moved to turbine equipment and therefore bought less and less avgas. Look at the DOE statistics for jet fuel usage. They show a 65% increase in jet fuel consumption over the same period that avgas dropped by 80%. During that same period, the total U.S. civil fleet has remained consistent in numbers, ~200,000 aircraft on the registry. OTA’s fatal accident rate per million gallons of avgas consumed analysis is also flawed, because the GA accident rate includes all sorts of general aviation airplanes, and as previously noted, a great portion of GA flight hours are now being accumulated in aircraft with turbine rather than piston engines. In regards to Mr. Miller’s linear regression table at http://overtheairwaves.com/vol3-215.gif, it is also deceptive. It uses too few data points to be statistically relevant. Increase the data to include numbers going back to 1983, as he did with avgas, and it would show a different picture, namely a) a long term decline in accident rates, and b) that the chart’s vertical axis only represents 0.14/100,000. Zoom in far enough and you can make anything look bad just by virtue of the chart’s scale. Even given the data as Mr. Miller presents it, there exists a variance between a fatal accident rate of 1.25 and 1.32 per 100,000 hours flown. Think about that. For every 100,000 hours flown, the accident rate went from 1.25 to 1.32. That’s an increase of 0.07 accidents per 100,000 hours. To put it another way, it’s an increase of 5%, which to be honest is probably less than the margin of error when you consider that the hours flown are merely an estimate. OTA describes this as “worsening at an alarming rate”. Am I crazy for disagreeing? As I said before, my analysis is not designed to slight Mr. Miller or his publication. I simply suggest that he is trying to have it both ways with the statistics. He claims that the NTSB’s “hours flown” esimates are way off because of the decline in avgas usage, yet uses those same NTSB numbers for his regression analysis. These are just one guy’s thoughts on the matter. But from where I sit, the accident rate is holding steady over the past few years, and remains in a long term decline. I’d have to agree, especially on the number of datapoints issue. A trend line through 6 data points with that kind of variance between them is likely to have a poor confidence value. I wonder if breaking the accidents down into sub-groups (CFIT, VFR flight into IFR, fuel management, etc.) would offer a better view. Then asking things like “are more pilots dying from running out of fuel than in the past, and is that likely to get worse taking into account the most commonly used airplanes, technology, and techniques of today?” might start to generate trends for each, which could be merged into a (subjective but) maybe more accurate viewpoint. I believe accident data is broken down into sub-groups by the Air Safety Foundation’s Nall Report, and they analyze the data to find emerging trends. For the most recent year, the ASF noted the just such a trend: “an increase in fatal maneuvering flight accidents; in 2005 there were 80 such accidents versus 52 in 2004”. If there’s one trend I’ve noticed in the Nall Report, it’s that most accidents are caused by gross errors of judgment. Buzzing, low level aerobatics, fuel exhaustion, flying while intoxicated, etc. Thanks again for the shout-out about the PHP errors. You make some valid points and I won’t argue them. It is true that the Corporate and Charter world has changed. Where once there were 310’s or Baron’s, there are now King Airs. Corporations used to be happy to fly their people around in AeroCommanders and Aerostars, I hardly ever see that anymore. Most corporate flight departments want to burn jetA even if it’s going through a PT-6. The aviation fuel purchased per day is an interesting data point. I’m not sure what to make of it without more thought. One very significant factor not touched on is the very significant numbers of aircraft, such as my own, which use auto fuel exclusively thus calling into great question the correlation between sales of 100LL and flight hours. Since 2000 I have flown amost 600 hours in my homebuilt Zenith Zodiac including one and a half round trips across the nation, and in that time I’ve used 100 LL only a few times when auto fuel wasn’t available. There are thousands of Rotax powered aircraft in the air, all of which I believe you’ll find are using auto fuel virtually exclusively. Add to that the number of auto fuel STC’d aircraft which is growing every year. Unless one is close to the experimental aircraft world that segment of general aviation tends to fall under the radar. With far more experimentals launched every year than the combined total of all certificated piston singles, ignoring this population can skew all kinds of statistics. While accident rates for experimentals is higher than for certificated aircraft, the record is still pretty good. Nevertheless, with the steadily growing percentage of the fleet represented by experimentals, the ratio of fatalities to 100LL sales is further affected due to experimentals’ disproportionate share of the accident statistics.